The fossil of a diminutive pterosaur discovered in British Columbia is the first find of its kind, scientists say, and it promises to change the way we think about the flying reptiles. The new specimen dates back 77 million years, to the Late Cretaceous, when pterosaurs were typically the giant flyers that you find in pop culture today. Most of them had wingspans ranging from 4 meters (about 13 feet) to as much as 11 meters (or 36 feet), the span of a Cessna airplane. While smaller pterosaurs were known to have existed much earlier in the Cretaceous, their absence from the fossil record in later years led experts to believe that they had vanished, because of competition from new rivals that appeared in the skies: birds. The discovery of tiny new pterosaur shows that smaller flying reptiles persisted and weren’t done in by birds (which are true flying dinosaurs). Learn more about the evolutionary relationship between extinct dinosaurs and modern birds. “This new pterosaur is exciting because it suggests that small pterosaurs were present all the way until the end of the Cretaceous, and weren’t outcompeted by birds,” said Elizabeth Martin-Silverstone, a paleontology student at the University of Southampton, in a press release. Pterosaur fossils of all kinds are famously rare, because the animals’ hollow bones broke so easily that they were seldom preserved. But the B.C. specimen is “exceedingly rare,” she and her colleagues said, because the smaller bones of petite pterosaurs were even less likely to fossilize. “This suggests that a small pterosaur would very rarely be preserved, but not necessarily that they didn’t exist,” Martin-Silverstone said. The remains are far from complete, consisting of a long arm bone, several vertebrae, and a scattering of fragments. But they were substantial enough for paleontologists to see how small the animal was, and to determine that was indeed fully grown, and not a juvenile. “The specimen is far from the prettiest or most complete pterosaur fossil you’ll ever see, but it’s still an exciting and significant find,” said Dr. Mark Witton, a specialist in pterosaurs with the University of Portsmouth, in the statement. “Happily, enough of the specimen was recovered to determine the approximate age of the pterosaur at the time of its death,” he continued. “By examining its internal bone structure and the fusion of its vertebrae, we could see that, despite its small size, the animal was almost fully grown. The researchers suspect the reptile was a type of pterosaur known as an azhdarchoid, a toothless pterodactyloid whose ranks include such flying giants as the Hatzegopteryx found in Romania, and the giraffe-sized Quetzalcoatlus, whose fossils have been uncovered in Texas. 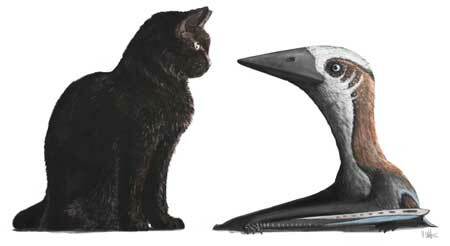 Where the little pterosaur from British Columbia fits into this evolutionary puzzle is unclear, except as proof that azhdarchoids included pint-sized flyers as well as winged behemoths, Martin-Silverstone said. 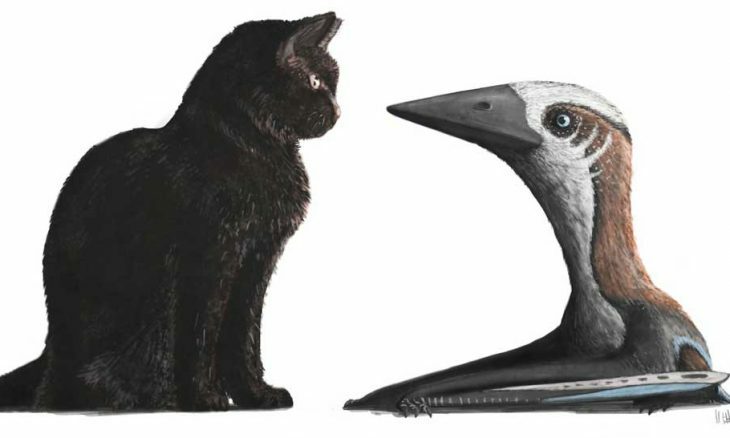 “It adds to a growing set of evidence that the Late Cretaceous period was not dominated by large or giant species, and that smaller pterosaurs may have been well represented in this time,” she said. And she added that other small pterosaurs are likely waiting to be discovered — not only in fossil outcrops, but in museum collections, where countless specimens remain overlooked, especially those that are small or incomplete. 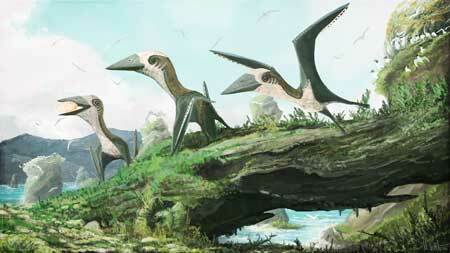 “As with other evidence of smaller pterosaurs, the fossil specimen is fragmentary and poorly preserved,” she said. Martin-Silverstone, Witton, and their colleagues report their findings in the journal Royal Society Open Science.